State Key Laboratory of Mechanical Transmission, Chongqing University, Chongqing, 400044, China. 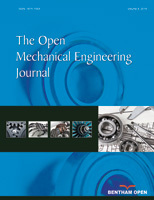 In order to improve the dynamic performance and endurance mileage of vehicle, operation mode and parameter matching were analyzed and designed on a novel power transmission scheme of range-extended electric vehicle (R-EEV), and the following control strategy of the engine optimization curve was proposed. The simulation was carried out on the Matlab/Simulink software platform and the results showed that the matching parameters and the control strategy of engine were both reasonable, the dynamic performance improved and the vehicle could be operated efficiently.